Reason for using the technology: This was a seminar course, and Chris wanted students to be able to present from their own laptops. 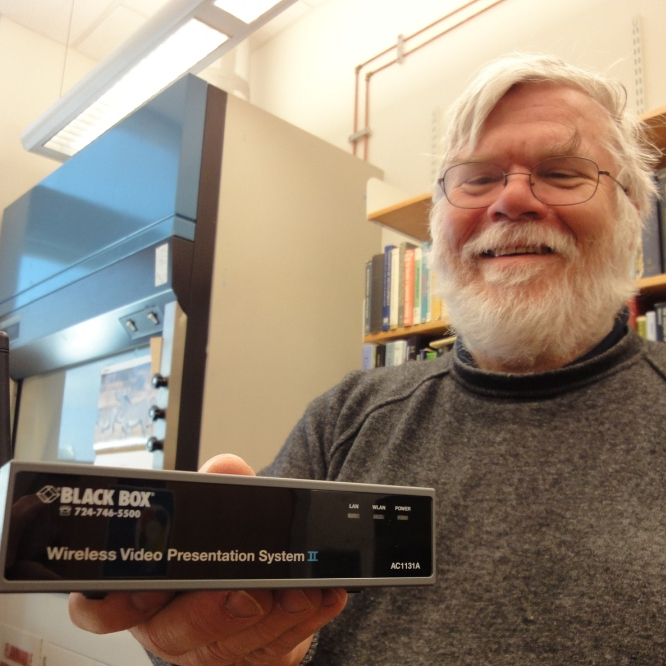 The BlackBox Wireless Video Presentation System allowed the nine students in Professor Chris Watters’ Human Nutrition class to share their work as peers rather than as presenters at a podium. Discussion continued seamlessly through PowerPoint presentations that students ran from their own laptops. Chris can envision other uses for this technology, including collaboration and peer review, and more simply, large projector presentations. He first saw the BlackBox server in action at an international visualization conference in 2005. A group would demonstrate a project, take feedback, make revisions, and present again. When Chris learned that the server was available in the US, he mentioned it to Dean Cadoret. Dean found the server and helped configure it with other LIS staff. Full configuration remained difficult despite adjustments to the server, the network, and even the students’ laptops. Some of Chris’ objectives couldn’t be met (he had hoped students would be able to pull up nutrition web pages and evaluate them as a group), but overall Chris found this experiment with new technology worthwhile. 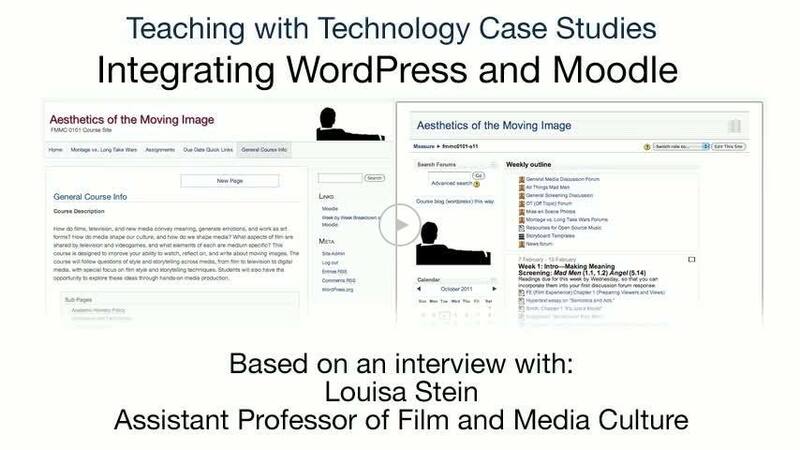 This entry was posted in Biology, Discussion and tagged presentation, video, wireless on April 15, 2010 by Carrie Macfarlane.